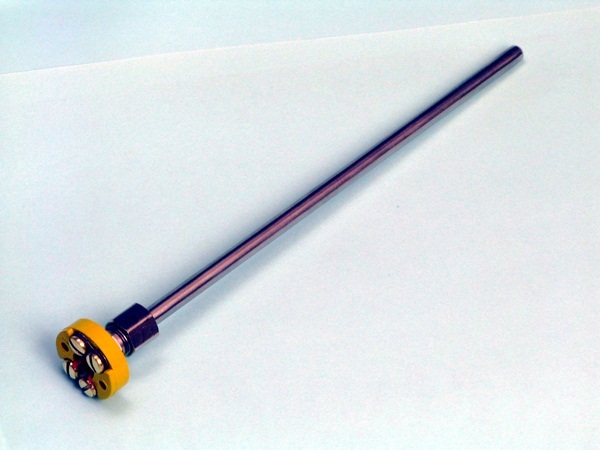 Industrial thermocouples are used for a very broad range of temperature sensing applications. They are inexpensive, accurate, and can be fabricated in many forms to meet the requirements of the process. They operate on the "Seebeck Effect" which is the phenomena of dissimilar metal conductors producing a measurable voltage difference between two substances. 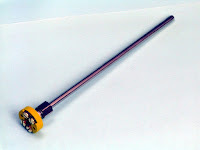 Thermocouples are used widely in industrial processes in industries such as power generation, primary metals, pulp and paper, petro-chemical, and OEM equipment. They can be fabricated in protective wells, and can be housed in general purpose, water-tight, or explosion-proof housings. Thermocouple types - such a type J, type K, type R, and type S - refer to the alloy combinations used for the conductors and are based on standardized color designations. The following video provides a basic visual understanding of thermocouple wire, how a T/C junction is determined, and also discusses thermocouple connectors, polarity and some aspects of construction (such as grounded vs. ungrounded vs. open tip).